Buy That Man A Beer covers the best quotes on pop culture. 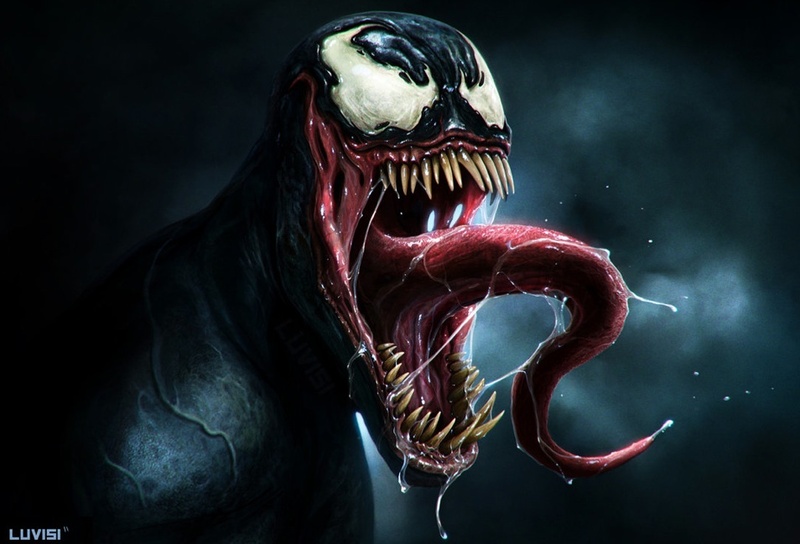 This turn at bat, Dan LuVisi voices his thoughts on 'cute-art-mania' and Marvel's curious need to alter someone who was never broken... Venom. "Every time I go on deviantART, I see a ton of cutesy art. Cats, dogs, fairies, and other fluffy things... Well, where the hell is all the GROSS and BADASS stuff at? It's been far too long since I last painted Venom, and it's time to bring him back to his roots. None of this new design stuff, I miss the gross, vile and disgusting Venom we all know and love." Too true. 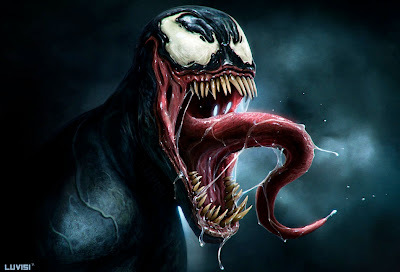 Sure 'super secret agent Venom' is a nice idea for a few hits and giggles, but let's see Venom get back to the drooling raving nasty he used to be... pwease. Visit Dan's online art gallery here.